One of the *many* breakout stars of Netflix’s Queer Eye reboot is Antoni Porowski, the precious gem tasked with whipping the the makeover subjects’ palates into shape. It turns out that Antoni has a cookbook coming out in Spring 2019, so cross your fingers and hope that there are more than just avocado recipes in there. I love you, Antoni, but your guacamole recipe is weird. Antoni’s yet-untitled cookbook will help “promote the simple, healthy, visually appealing fare” we came to love (and tease him for) on Queer Eye 2.0. That’s right: In case you couldn’t love him any more, Antoni specified the importance of appetizers in the announcement about his cookbook. Does that mean he’ll teach fans the proper way to assemble pigs in blankets, canapés, and more? Hopefully! Or maybe it will just be one hundred ways to prepare fresh avocados. You never *really* know. 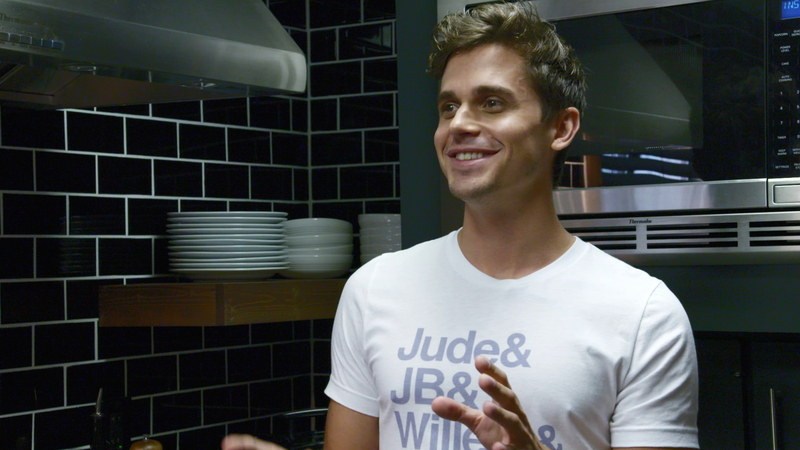 And yes, even though Antoni has a cookbook coming out, he’ll still be on Queer Eye Season 2! Netflix picked up the Queer Eye reboot for a second season earlier this year. And with good reason! It’s warm, funny, empowering, emotional, and addictive. It also introduced a wide audience to Karamo Brown’s unreal bomber jacket collection, and the sunshiney world of Jonathan Van Ness. Antoni *will* be on Queer Eye Season 2, so his avocado appetizers healthy cookbook won’t be keeping him away. Can you believe?